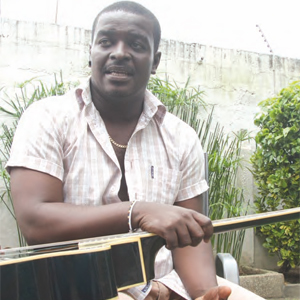 Highlife musician, Kumi Guitar, says his quest to become a professional musician has cost him so many things, including the love of his life. The ‘Break Into Two’ singer, known is in real life as Nana Yaw Kumi, is a taxi driver determined to combine both singing and commercial driving to earn a living. Kumi Guitar shares his experiences with blogger Nii Ogbamey Tetteh. I started singing from my secondary school days at Adisadel College in Cape Coast, between 2001 and 2003. During our first entertainment night, I noticed that everyone was doing his or her own thing, unlike in other schools where students imitated other musicians. Everyone used to do their rap or sing their songs. On our first entertainment night in form one, I tried my first rap with a friend. It was successful, but I wasn’t so happy because someone wrote the rap for me. The next time, I wrote my rap, and it was successful. How was life after secondary school? After secondary school, music became something I wanted to do. Even though I wanted to further my education after secondary school, things were not going well financially, so I had to drive a taxi to survive. I was doing music alongside. Sometimes after work or before work, I went for my studio sessions. I started from Big F Studios and came to Sugar Tone Studio and other studios. I play only the guitar for now. Why did you choose the guitar? I felt doing the highlife genre most of the time goes with the guitar. Besides, the guitar is easy to carry around, unlike some other instruments. I feel the guitar is also a magical instrument. I also noticed that most Highlife artistes played the guitar more, even though they could play other instruments. The guitar also gives highlife a good rhythm, like the Amponsah rhythms among others. Do you think highlife music has a future in Ghana? In my opinion, highlife is the future. I feel highlife has been brought down by the other genres of music. It is vibrant and appealing. If there is a show somewhere and Amakye Dede should come around, you will see a lot of young guys getting up to dance together with the old people. You can go to another show, and you will see a Hiplife artiste performing, but the old guys will sit and watch. Most of the young guys are doing Hiplife now. We prefer Hiplife, Afro-pop and other genres. Highlife music is difficult to do because you need to learn. I feel that we don’t learn now. The guitar is difficult to learn. How many young men will say I’m devoting my time to learn the guitar to enhance my highlife singing? We choose to go to the studio and let the engineer do everything, and then we sing and go away. But if you have to go outside Ghana, and you can play an instrument and you also play your rhythm to tell where you are coming from, it shows who you are and where you are coming from. What are some of the challenges you faced in music? Coming this far has been a challenge. Sometimes I couldn’t pay my studio bills. There was a time my girlfriend, who I was with for more than four years, left me because I was doing music and no money, or nothing was happening. Sometimes I left for the studio and came back with no money. Even though I was also doing this taxi thing, I had a dream for the music too. So she left me for a richer guy who could take her where she wanted to be in life. But my family has been great to me. They have all supported me. The challenges have been with my relationship and financing studio sessions. How is your taxi business going? It is not easy. My taxi broke down recently because I had an engine problem. So for a while now I haven’t been on the street. How will you combine the fame and taxi business? Personally, I’m working for Ghanaians and driving a taxi is also working for Ghanaians. Driving and singing are both services I’m rendering to Ghanaians. I would wish that I continue with the taxi job because it also brings in money. It is the same job that has fed me till now. The only way I will be forced to stop driving a taxi is when my management tells me it is enough. But even with that I will make sure I get other taxis for people to drive for me. 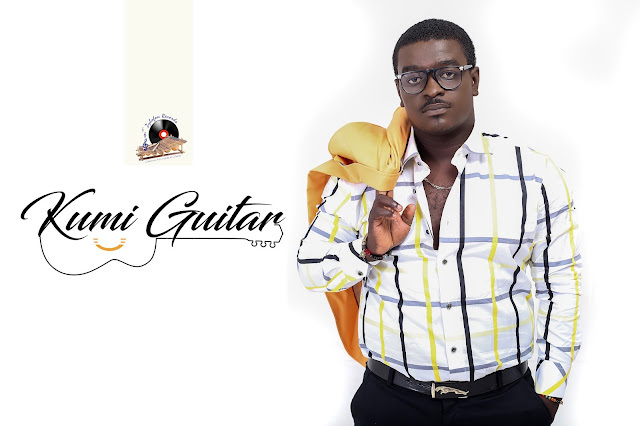 What is new with Kumi Guitar? I’m currently promoting my new single, titled ‘Scriptures’, which came out on Monday. I’m also working on my album. I have only 3 more songs to record.